Slab Gallery at 234 Middle St., Middletown CT showroom. What Is A Stone Fabricator? A stone fabricator is simply one who cuts and sells stone pieces for any major interior work, including kitchen countertops, bathroom vanities, or another structure. Fabricators generally work on a variety of stone materials but process the stone for use in homes and businesses. Fabrication is one of the most important aspects of installation. They will help you pick the perfect slab, ensuring there are no cracks, fissure or imperfections -anything that lowers the value or integrity of the stone. Once it’s been analyzed, the fabricator will transform it from the raw, jagged slab into a smooth and usable surface for your home or office, which involves cutting it down to its proper thickness and polishing and edging it. Natural stones are cut directly from ground sources. This is the reason for their distinctive color, consistency and texture. Your granite or marble will have unique artistic characteristics unlike any other slab. When the stones are blasted from the quarry and cut into big blocks, they are then sliced thinly, commonly in 2cm and 3cm slices. 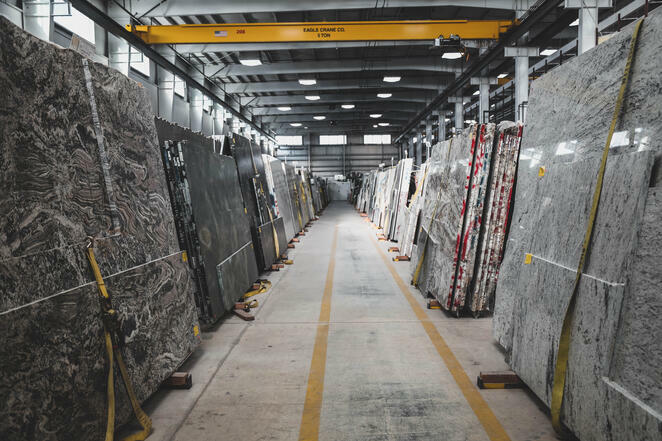 Once these are delivered to manufacturers or distributors, granite or marble are worked on by hand and machine to customize size, polish and edging for countertops, cabinets and other functions such as a coffee table top or side tables. 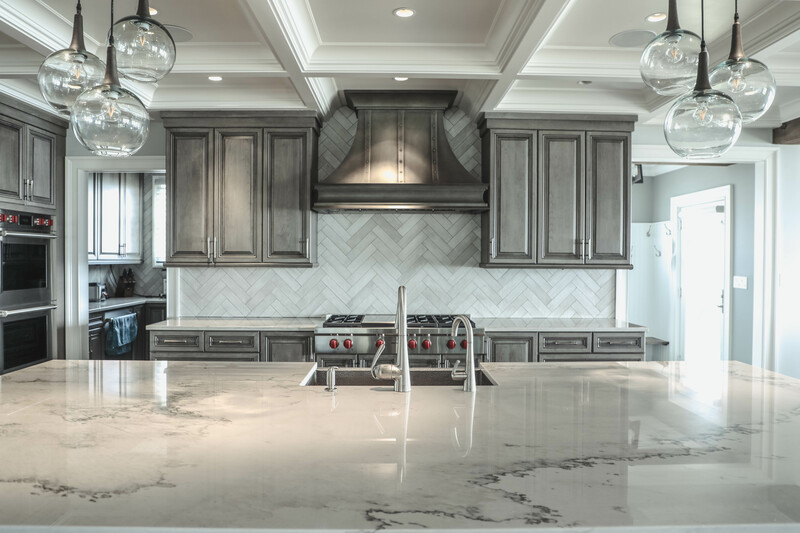 Your selected dealer’s design team will guide you through the process of selecting the granite or marble that’s right for the overall design and look you want for your kitchen, bathroom or living room. They then will measure and create a template for the installation to know exactly how much stone is needed and to create a perfect fit with seams that are smooth, flat and narrow. A few important guidelines for choosing the right granite fabricator for you! How long has the company been in the fabrication business? Do they have a physical location that you can visit? 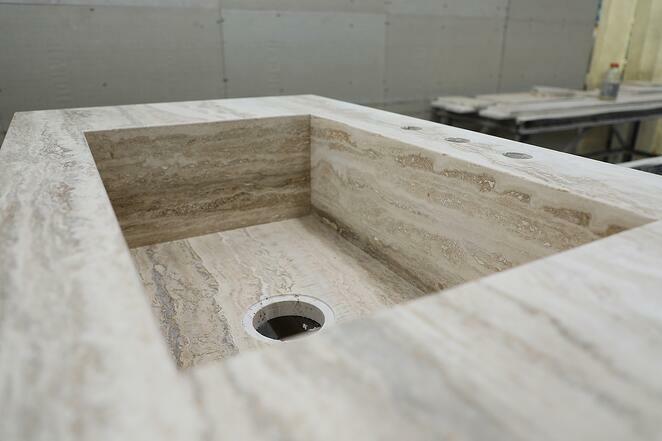 Does the fabricator use modern stone cutting technology like measuring your countertops with digital equipment and CNC stone profiling machines to offer high quality standards? Do they have in-house installation teams? In-house teams tend to know the details of the project and understand the expectations of the customers better. A top-quality installer can make poor quality stone look good. Conversely, a bad installer can make top quality stone look lousy. When you’re investing in stone, be sure to take the time to shop for both the best top-quality material as well as the most skilled fabricator you can find. The combination will lead to a product you’re happy to live with for years to come.